CRICKET: New Zealand has wrapped up a convincing eight-wicket win over Pakistan with more than four sessions to spare in the first Test at Hagley Oval. Chasing a meagre 105 for victory, the Blacks Caps reached the target with two wickets down, debutant Jeet Raval (36no) hitting the winning runs. 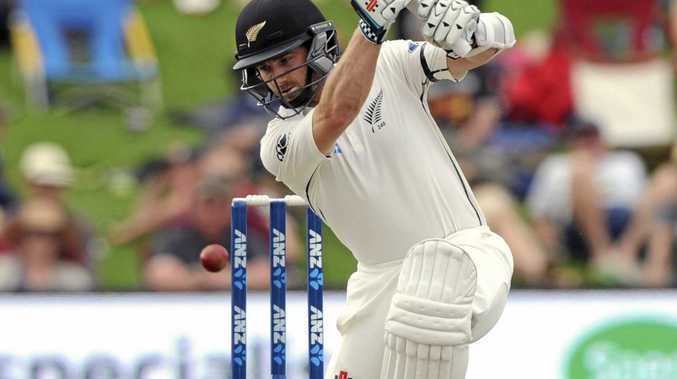 Captain Kane Williamson scored a match-high 61, his 24th Test half-century, before being caught sweeping behind square with the scores level. The win was New Zealand's ninth in 54 Tests against Pakistan. The second and final Test starts at Hamilton's Seddon Park on Friday. Pakistan, which started the day at 7-129, leading by 62, were dismissed for 171, with seamer Sohail Khan the top scorer with a Test-best 40. Seamers Tim Southee, Trent Boult and Neil Wagner all picked up three wickets apiece. New Zealand lost opener Tom Latham before lunch to Mohammad Amir, but Williamson was in good touch and Raval completed a highly encouraging debut. His fellow debutant Colin de Grandhomme was awarded the man of the match award for his seven-wicket haul.